Integrating advanced science with natural healing, Evolab strives to offer the full integrity of the cannabis plant in their extracts. Their lab team designed a proprietary technology designed to preserve all the benefits of cannabis rather than isolating only cannabinoids. 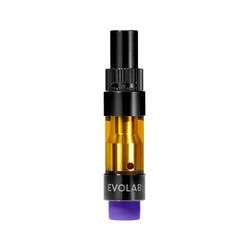 Thanks to their efforts, Evolab offers some of the most potent, flavorful, and purest concentrates around. From High Times Cannabis Cup winners to topicals and more, Evolab produces some the healthiest and most reliable cannabis products available. Evolab was founded in 2011, with a dedication to creating the purest possible cannabis extracts using CO2 methods. 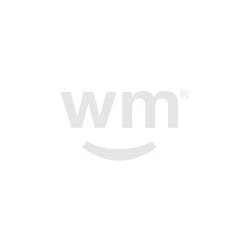 Partnering in 2014 with a French chromatography company, Pic Solutions, the team at Evolab developed the first supercritical CO2 extractor designed specifically for the marijuana market. Evolab pioneers the use of their proprietary extraction procedures, involving a combination of chromatography and supercritical CO2 extraction to produce the highest quality, pharmaceutical-grade cannabis products. Working alongside research citing the benefits of the Entourage Effects, Evolabs’ extraction preserves the plant’s natural terpenes to retain the highest possible benefits and integrity of each flower profile. 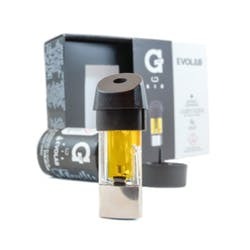 Evolabs’ laboratory manufactures a full range of cannabis concentrates and infused products rich in both cannabinoids and terpenes, all while completely free of agents, solvents, and additives. 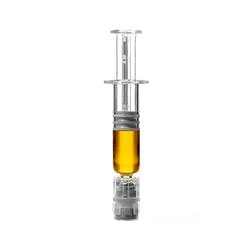 Their Chroma oil is a pure cannabinoid distillate, testing at 80-95% potency with hybrid terpenes offering a consistent, quality taste. Their FreshTerps offer strain-specific, cannabis-derived concentrated terpene extract, perfect for intensifying dabbing experiences or for experiencing on their own. Their Alchemy product pre-mixes both Chroma and FreshTerps for a powerfully potent, out of this world full-flower experience. 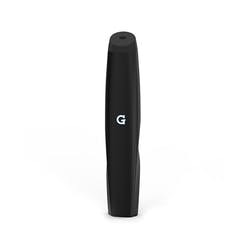 Their Colors offer a natural fruit terpene flavor profile that comes from their Chroma distillate in delicious Strawberry Lemonade, Sweet Melon, Tropical Fruit and Blueberry flavors. As part of their Evolab Infused line, they also create CBx Sciences, CBx Essentials, G Pen and Mezz Brands. In addition to their line of products, Evolab offers a range of services to budding cannabis companies, including solvent-free extracts processing, cannabinoid infusion and incubation, and consultation services. If I could give a 0 star rating, I would. I recently purchased the EVOLABS Angle Salve from a dispensary in denver. I was so excited to give it a try after reading all the great reviews. I open the ointment as soon as I got home and there were tons of unidentified mold spurs on top of the salve. It didn't seem right. So I sent an email to evolabs to inquire about the mysterious mold spurs and they never got back to me. I ended up throwing the ointment away. Recently bought some evos which is fantastic ;). Have always been a fan of angel salve, especially for healing tattoos!!! I tried a Chroma cartridge on a recent visit to Denver, and it was outstanding! The oil is very thick and has a pine'y flavor. It hits a little harsh but not excessively (open the airflow adjuster for a "softer" hit). The effects were strong and relaxing, yet energetic and uplifting. 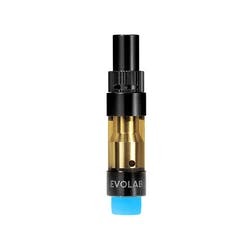 Evolab uses high quality cartridges with a "no-leak" guarantee. They're top-vented, which means they're much less likely to ooze precious oil all over your battery.